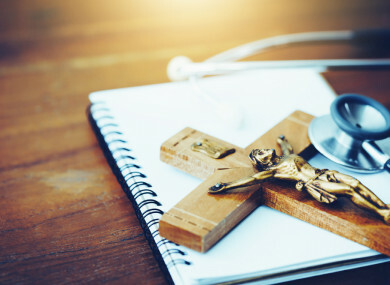 A GOVERNMENT REPORT has suggested that religious-run hospitals in receipt of State funding should remove religious symbols if a patient requests it. Speaking to Newstalk today, Taoiseach Leo Varadkar said the report was not about anyone “removing cribs or crucifixes or statues of Our Lady”. He said it was instead about realising that some members of the public are not religious. So this evening we’re asking: How do you feel about religious symbols in hospitals? Email “Poll: How do you feel about religious symbols in hospitals?”. Feedback on “Poll: How do you feel about religious symbols in hospitals?”.